Herring cover the bottom of a barrel at a bait dealer in Portland, March 18, 2019. Members of the lobster business fear a looming bait crisis could disrupt the industry during a time when lobsters are as plentiful and valuable as ever. 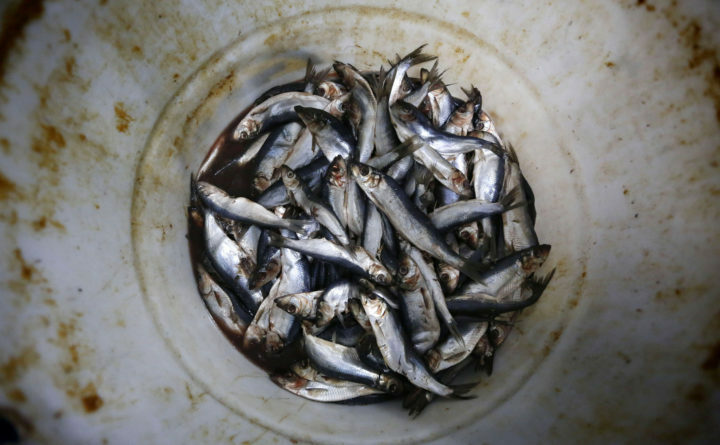 The fishery relies on herring, a small, schooling fish that other fishermen seek in the Atlantic Ocean. Lobsterman Jeffrey Peterson, who fishes out of the island town of Vinalhaven, said he’s sure he’ll be able to load his traps with bait this summer. He’s just concerned about how expensive it will be to do so.